If your eyes are saying I am tied you are sending a message to others. The eyes are what we look at when talking to others and they tell a story about you. Wouldn’t you like to send the message yes I am here alert and health? 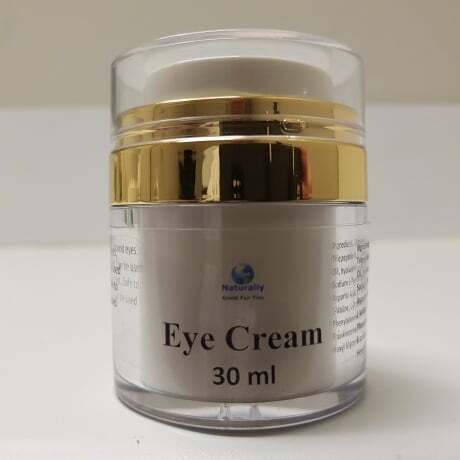 With this eye cream you can see a transformation in just seconds. From dark circles to none, wrinkle just disappear. This formula is an evolution in natural skin care that has taken decades to be able to deliver such a great product for you today. It is no exaggeration to say that this formula addresses every single eye area concern possible. Dark circles, wrinkles, sagging, puffing, loss of plump and firm, loss of tone and resilience. Its all taken care of in this delicate and light gel. Do not be deceived by the elegant, refined nature of the look and feel of this formula. Do not underestimate this product. 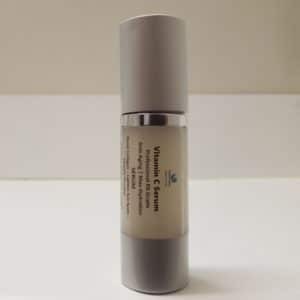 It is formulated from plant stem cells and multiple peptide blends. With botanical hyaluronic acid spheres along with fiber and cellular rebuilding Amino Acids. It’s collagen boosting, skin firming and wrinkle repairing. The ingredients are fully loaded into this genius formula. Use it daily. Use it ten times a day. You will be addicted. Directions for use: Dab around eyes, forehead and cheek area. Use as an all over face treatment. Safe to use morning and night. Use under makeup. Ingredients: Organic Herbal Infusion, Organic Aloe Barbadensis Leaf (Aloe), Matrixyl 3000, Palmitoyl Triepeptide-3, Kosher Vegetable Glycerin, Globularia Cordifolia Callus Culture Extract (Plant Stem Cells), Cucumis Sativus (Cucumber Hydrosol), Organic Simmondsis Chinensis (Jojoba Oil), Cassia Angustifolia Seed Polysaccharide (botanical hyaluronic acid), Methylsulfonylmethane (MSM), Hydroxyethyl Cellulose, Carrageenan Gum, Silk Amino Acid Blend (Sodium L-Pyrrolidone Carboxylate, Sodium Lactate, L’Arginine, L-Aspartic Acid, L-Pyrrolidonecarboxylic Acid, Glycine, L-Alanine, L-Serine, L-Valine, L-Proline, L-threonine, L-Isoleucine, L-Histidine, L-Phenylalanine), Wildcrafted Vinca Major (Periwinkle), Organic Glycyrrhiza Glabra (Licorice), Wildcrafted Euphrasia Officinalis (Eye Bright), Wildcrafted Ganoderma Lucidum (Reishi), Organic Centella Asiatica (Gotu Kola), Boswellia Serrata (Frankincense), Tocopheryl Acetate (Vitamin E), Sodium Benzoate, Potassium Sorbate, Ethyl Hexyl Glycerin. We are happy to supply wholesale rates, for 100 units or more, 10 products for each type minimum.